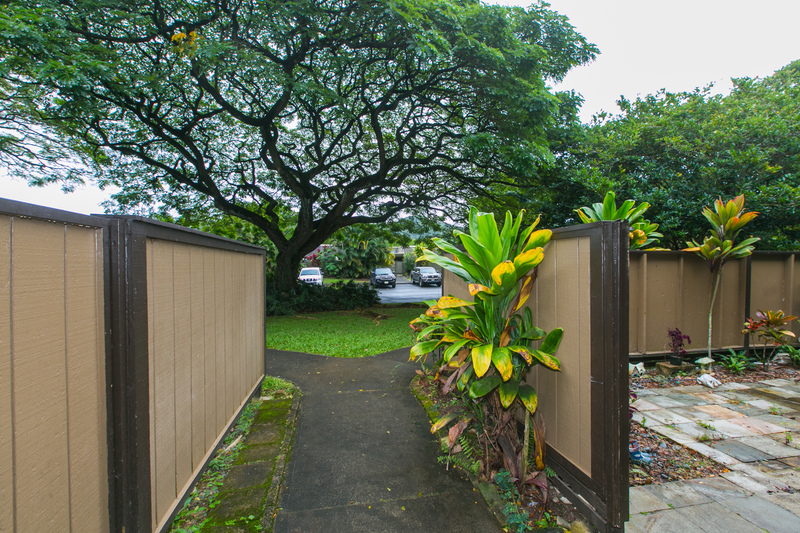 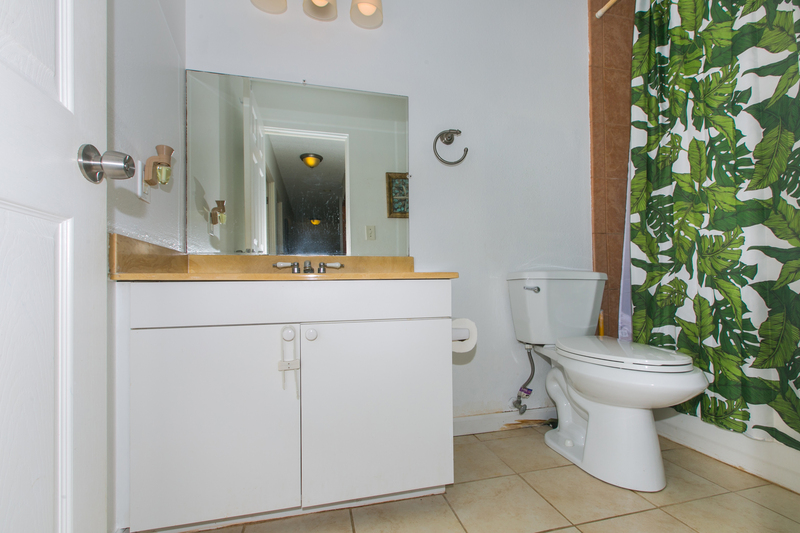 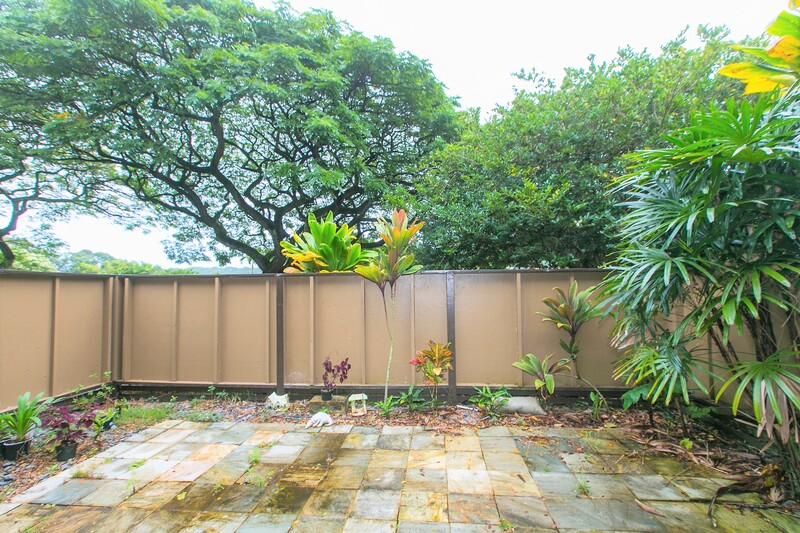 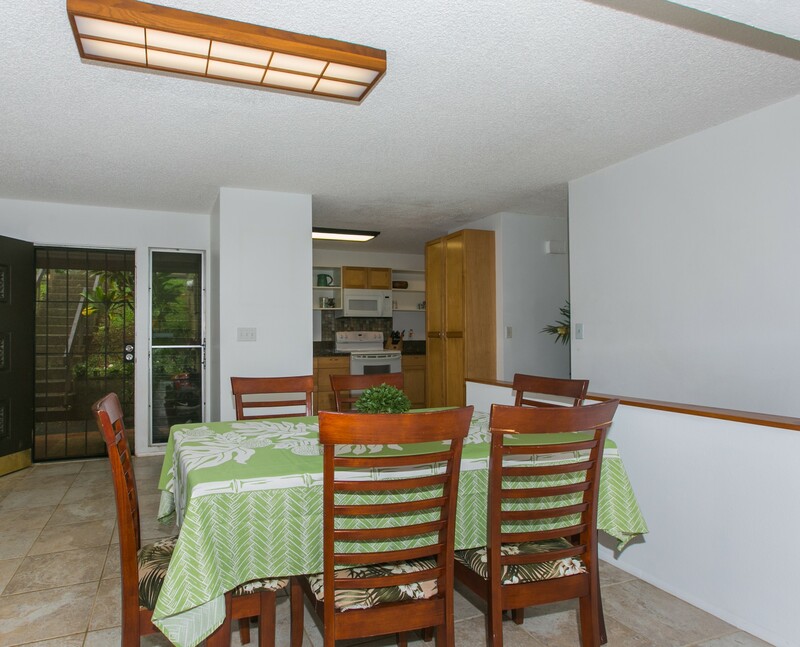 Lush Tropical Beauty – HomeQuest Hawaii, LLC. 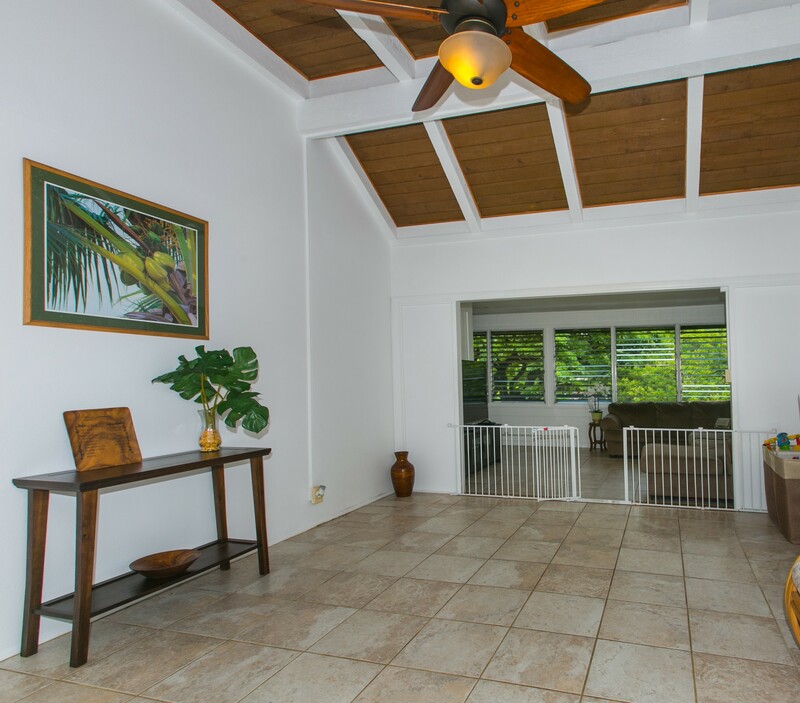 A truly special home in the lush tropical setting of the Club View Gardens. 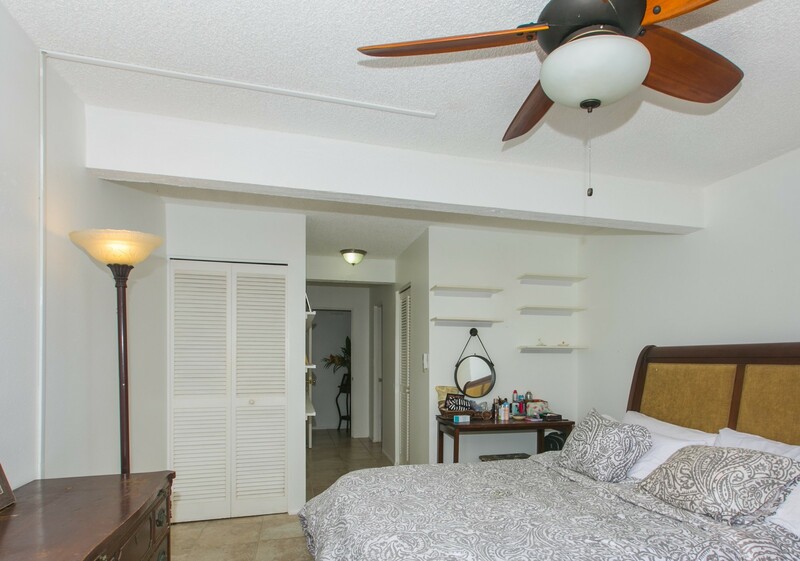 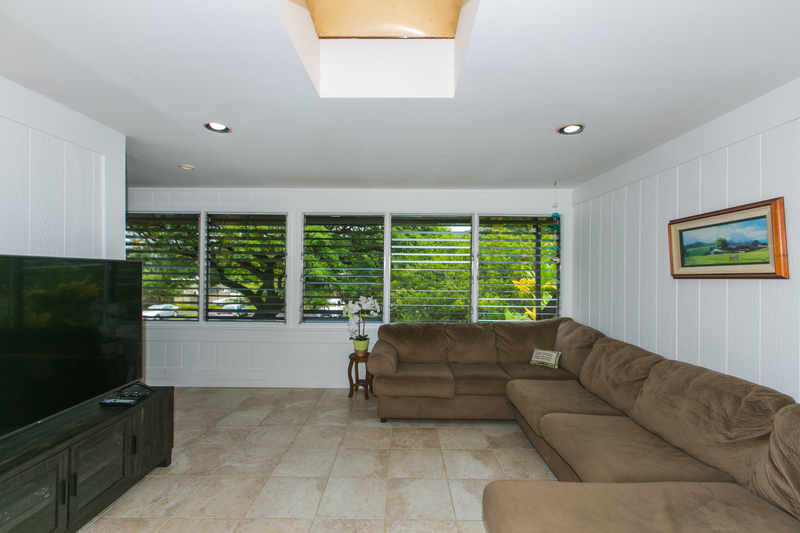 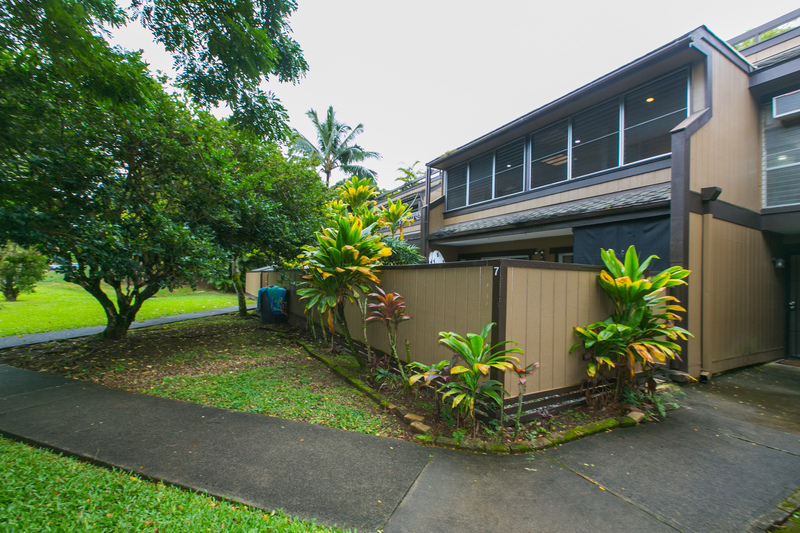 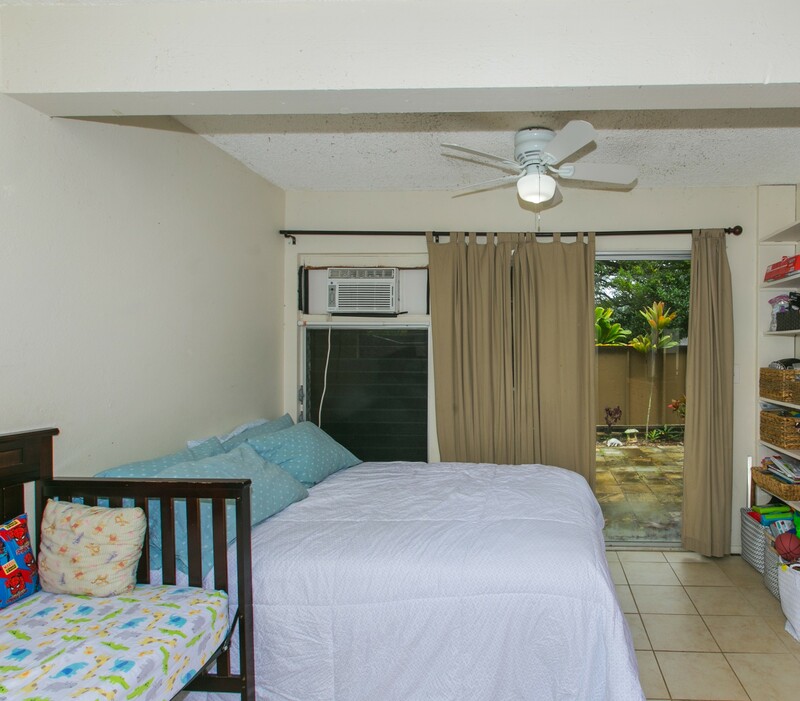 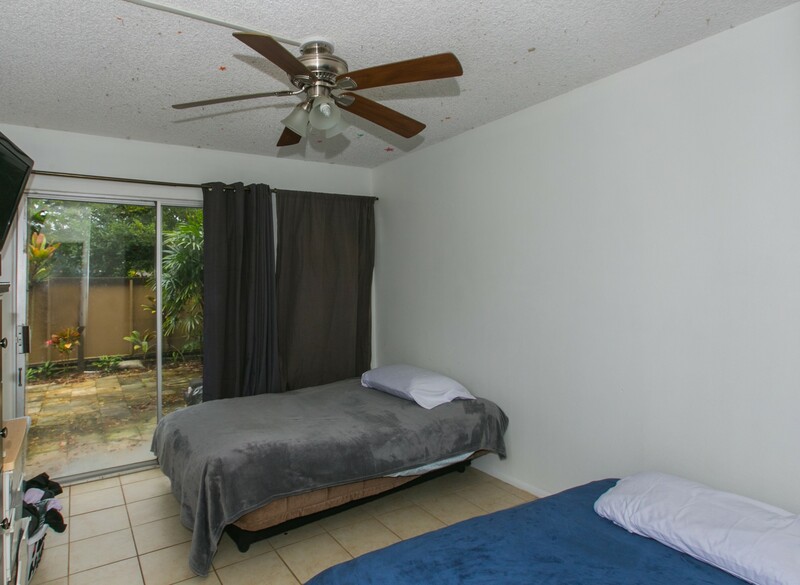 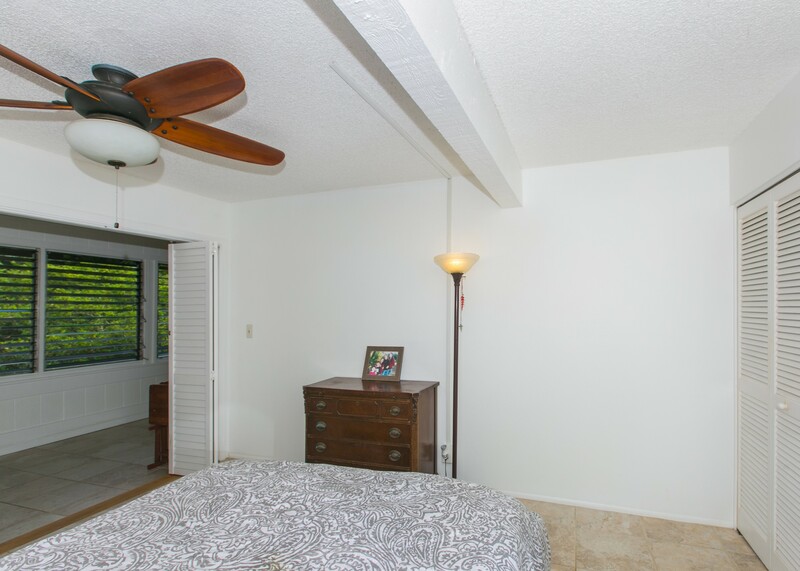 Open lanai was enclosed in ’95 which expanded the living room area & the Master bedroom area upstairs tremendously! 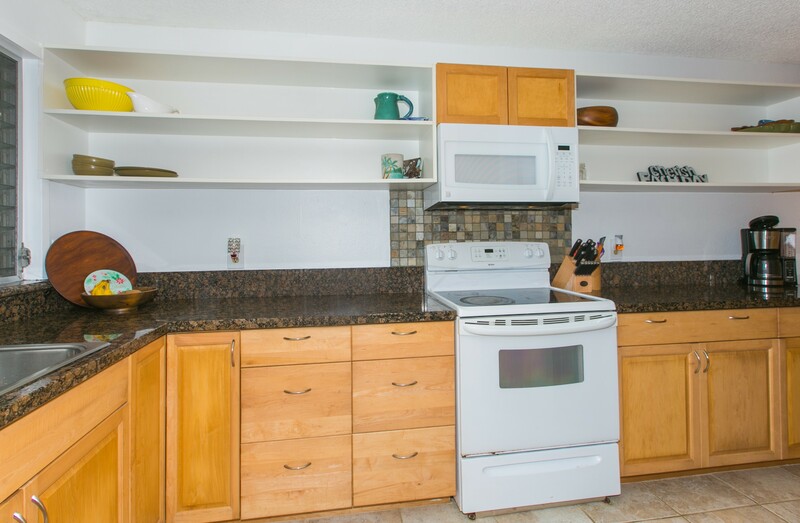 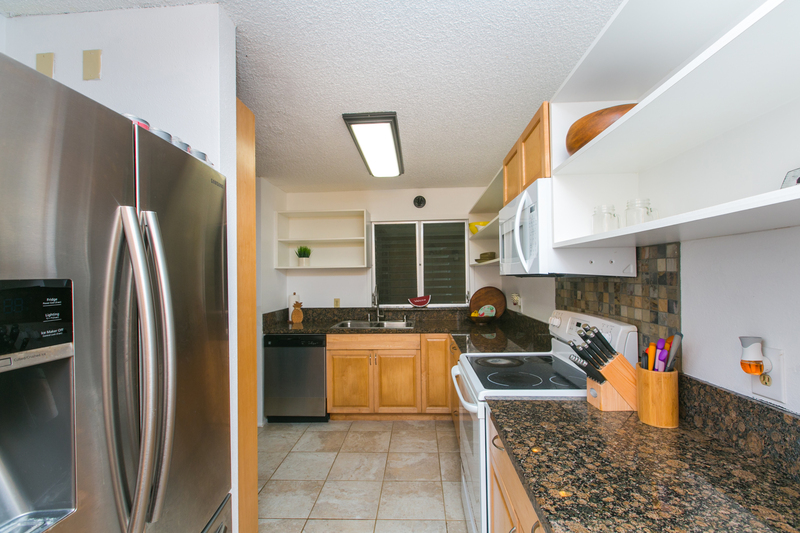 The kitchen was updated in 2015 with solid surface counter tops, new appliances, flooring, & cabinetry. 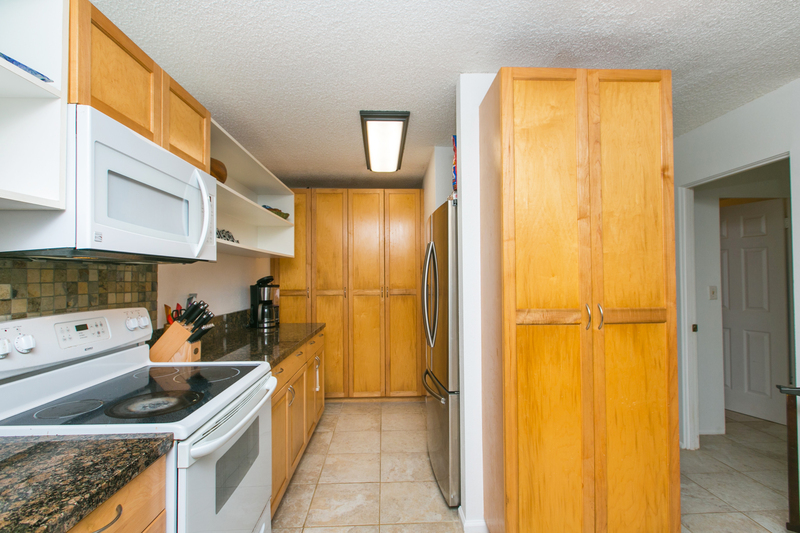 Kitchen feels so much more spacious since the entryway was also expanded to allow for more pantry space. 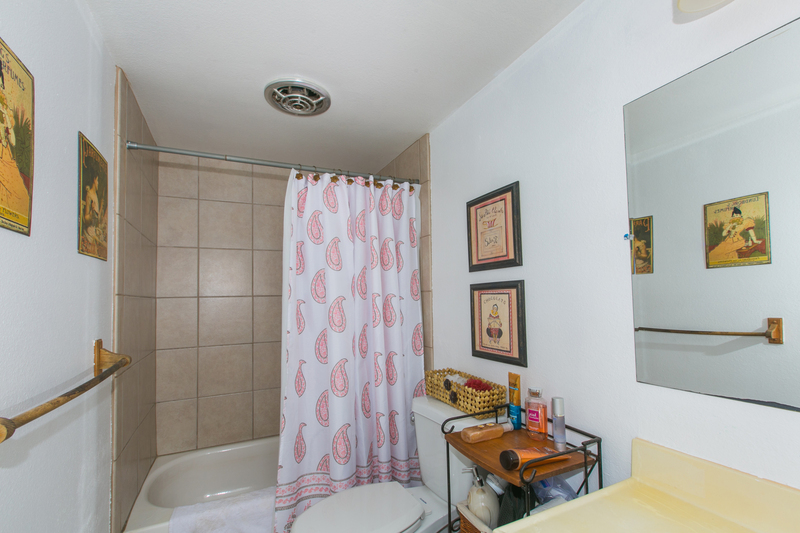 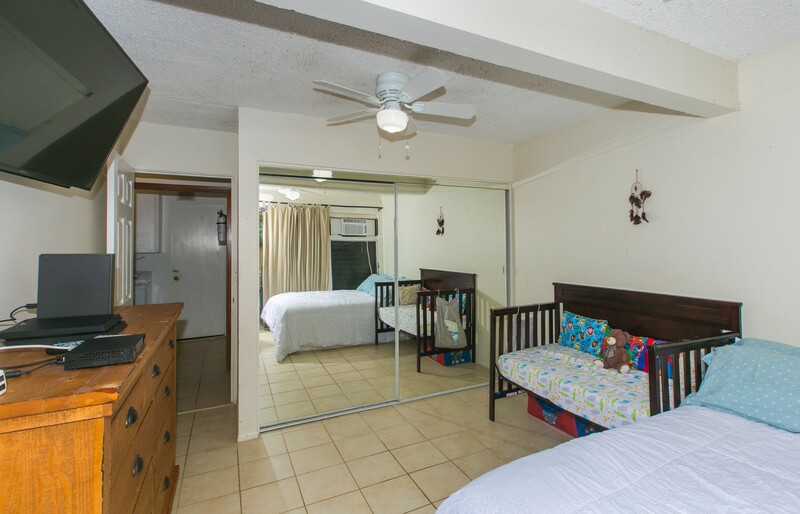 Room for the entire family & lots of storage areas on both floors. 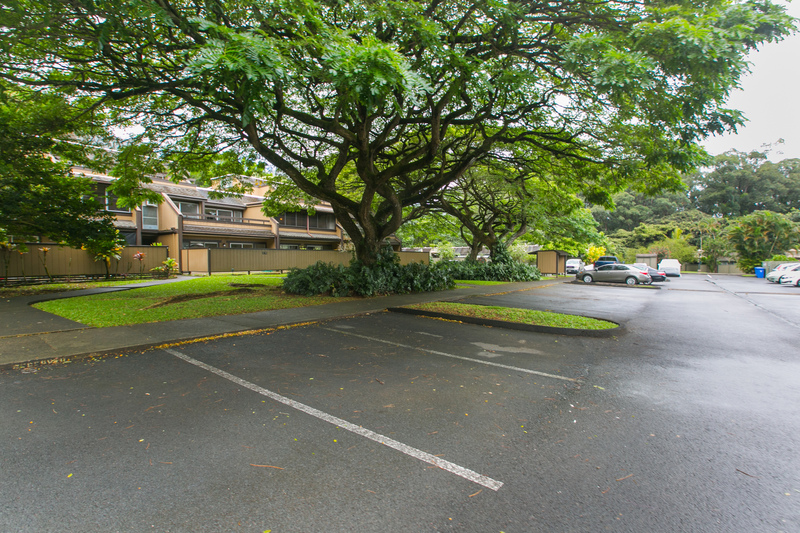 The downstairs entry & open patio area provide even more space & comfort while your parking stalls are located right in front of your unit. 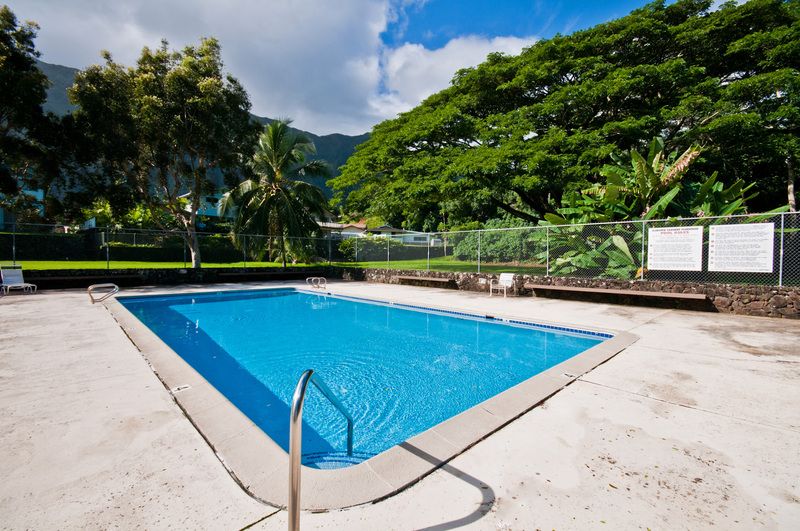 Cool trades breeze through this home that also offers a fabulous Recreation Center complete with a swimming pool/rec area. 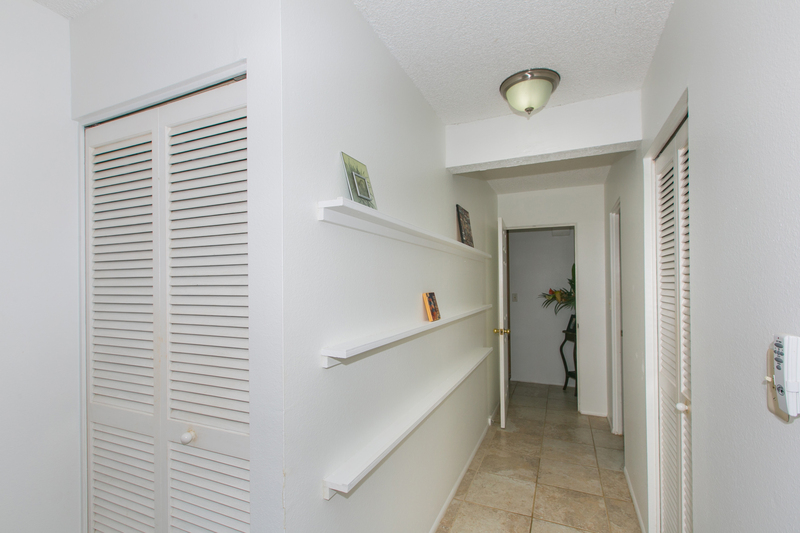 A great price for this spacious town home! 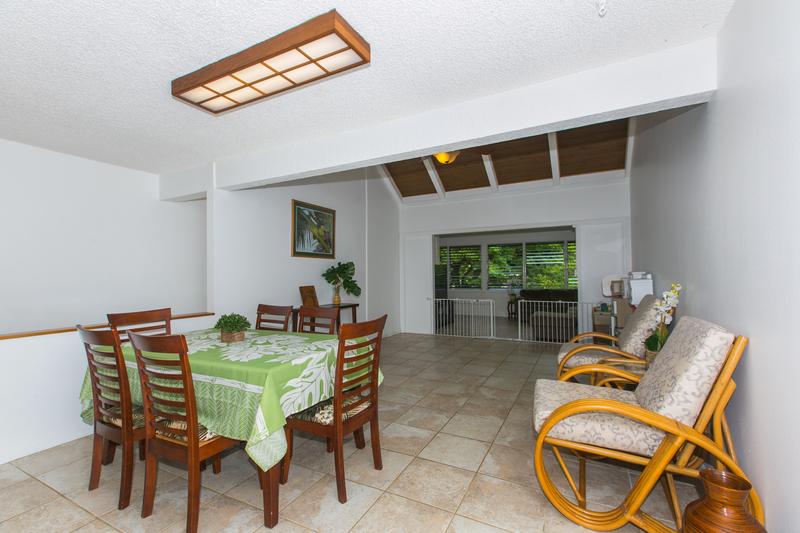 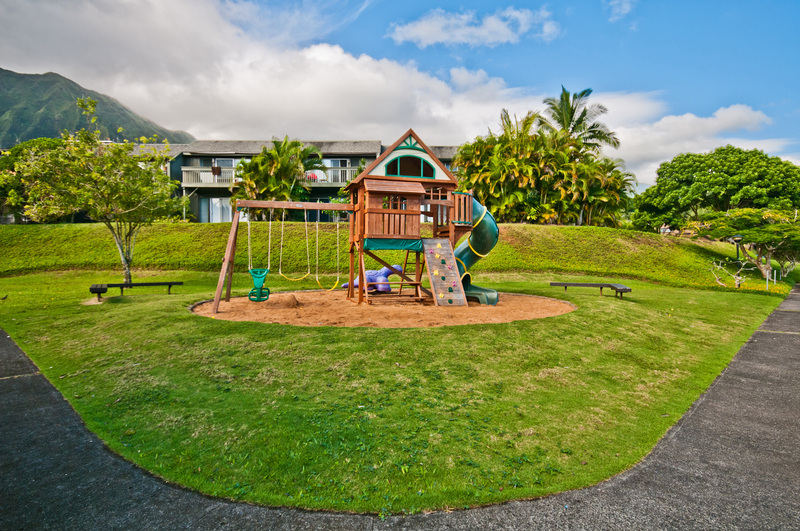 Kaneohe – Yacht Club Terrace End Unit Makakilo-Kumulani Beauty!